Paul Gauguin was a French impressionist painter whose intensely lush colors and distinctively flattened forms revitalized the world of modern art. Born in 1848 to an adventurous Parisian family, Paul Gauguins childhood included 4 years in Peru and time at sea with the French merchant marine. After years as a successful businessman, Gauguin decided to dedicate his life to art in 1883, and his wife and children were forced to move in with her parents. In 1891, disgraced and deep in debt, Gauguin sailed to Tahiti to escape everything that is artificial and conventional. 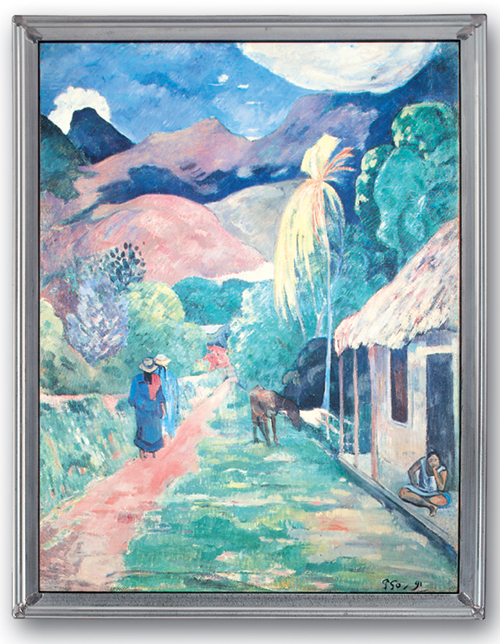 Under the influence of the tropics, Gauguin's paintings gained power, using a larger scale and simplified compositions.